Not too hot, not too cold, and this swaddle blankie is perfect for snuggling baby boy. 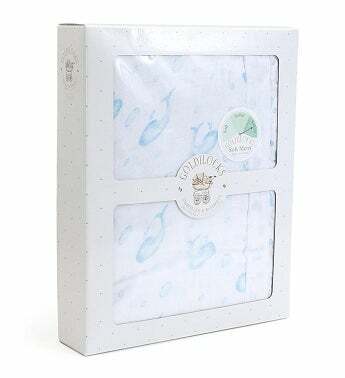 This luxury bamboo muslin blanket measures 47 x 47 inches. Made with 6 layers of the finest viscose bamboo and cotton. This blanket is processed 4 times until the quality, color, and feel are just right. The breathability and versitility of our silky soft blanket will sure to be your child's favorite. Wash before use, machine wash cold, tumble dry low. Not too hot, not too cold&mdash;this swaddle blankie is perfect for snuggling baby boy.